If they didn’t already, then every Wolves fan almost certainly loves big Willy now. The club’s defender, Willy Boly, was the hero on Monday night, as his stoppage time goal rescued a point against relegation battlers Newcastle United. And the Premier League side gave us all reason to have a childish giggle at full-time when they tweeted ‘We all love big Willy’. The French centre-back made his loan from Porto at Molineux permanent last summer, having spent the 2017/18 Championship winning season there and has scored three league goals this term. Wolves’ 1-1 draw keeps them in seventh, while Newcastle are one point above the relegation zone, though Magpies boss Rafa Benitez was far from happy. “We had the three points and then to concede this way is difficult,” he said. “We concede in the first game [against Wolves] in the last minute and we concede today. So they have been really lucky,” before taking a swipe at referee Graham Scott. “In England they don’t understand the rules,” Benitez added. “I can say many things but it will not change anything. 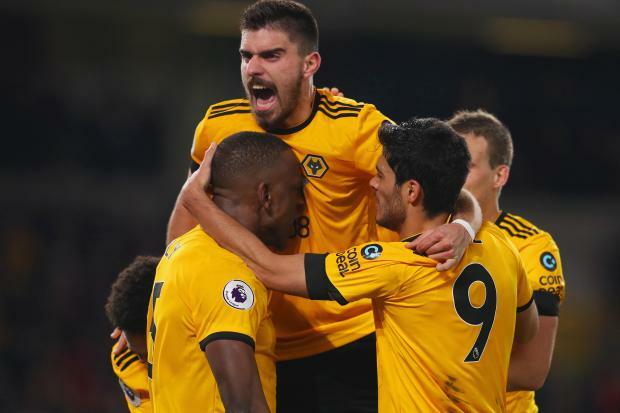 Asked if he thought Boly fouled Newcastle goalkeeper Martin Dubravka, Wolves manager Nuno Espirito Santo said: “I didn’t see the images yet.